The BlueParrot B250-XTS Bluetooth Headset is an innovative device capable of providing users with crystal clear conversations devoid of background noises and other distracting sounds. It uses a micro-USB charging port and is integrated with the well-known Xtreme Noise Suppression Technology. Headquartered in Ballerup, Copenhagen, Denmark, Jabra is a top-notch enterprise that was founded in 1869 under the Norcom Electronics Corporation. Decades of operation in the industry and market has help the company to learn everything it can on how to cater more effectively to the needs and preferences of customers all around the world. Jabra has focused its efforts and operations in the development and manufacture of high end technologies that can support audio and music needs. The company was able to provide and promote the power of sound, along people to have the best experience possible in music and sound. It even helped enterprises to improve the quality of their calls and in the process improve on their call handling and management skills. Jabra has promoted a lot of audio technologies, from the existence of total noise cancellation in headsets to the access to Voice Assistants made possible with just one touch of a button. And these technologies are integrated in the company’s offers. One of Australia’s biggest online stores offering wide selection of audio and music products and solutions, Headsetsonline Pty Ltd is a reliable enterprise with a positive reputation in the market due to it being part of a company popular for delivering the headset needs of corporate and government sectors for decades now since the year 1998. Headsetsonline uses an encrypted secured website that could assure customers that all of their online transactions and payment made in the site remain to be confidential between the customers and the company only. It has a green URL address bar and with the GeoTrust True Business ID with extended validation. 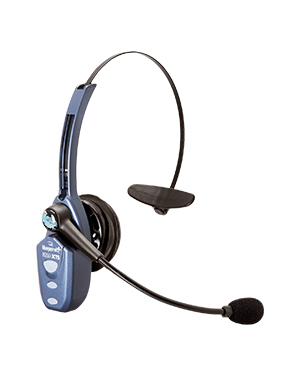 After checking out the products and solutions from the company site, Headsetsonline then conducts deliveries all over the country, where the company ensures that only the product and the flat shipping rates will be paid for by the company, without having to worry about hidden charges and surprise fees.